One thing that the passing years don’t change much is a boy, his puppy and his love for baseball, so what better than a baseball puppy picture? 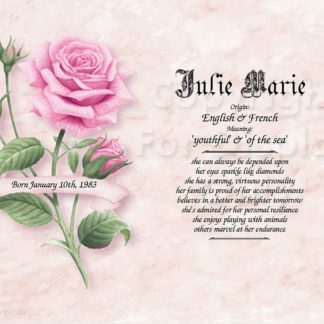 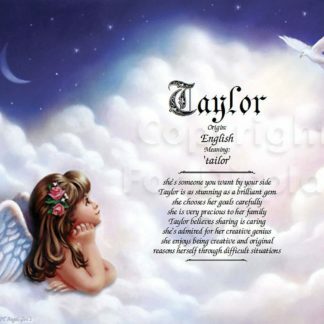 Young or old, this personalized name art will trigger wonderful memories. 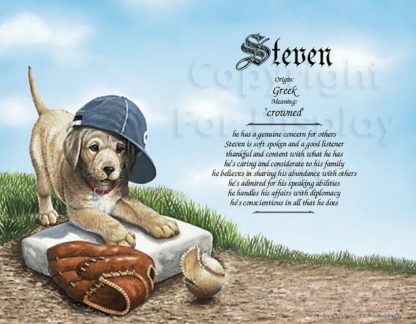 This baseball puppy picture that creates a very personal and unique gift is so cute for any boy! This is a gift that grow up with a young boy, or be enjoyed by an already-grown up boy – er man. 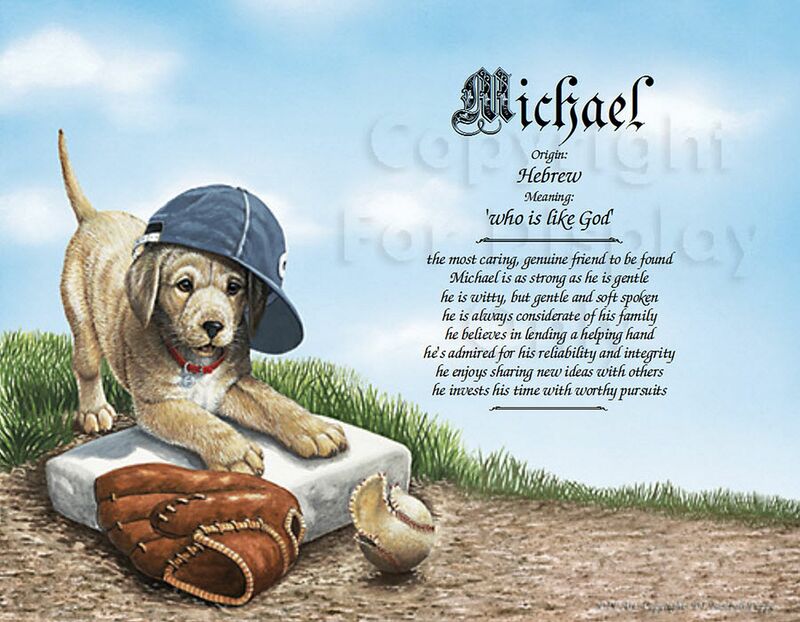 A cute puppy dons a baseball copy and has two paws on a base. 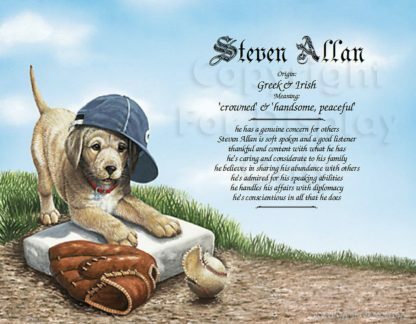 A baseball glove and baseball are on the ground near the base. 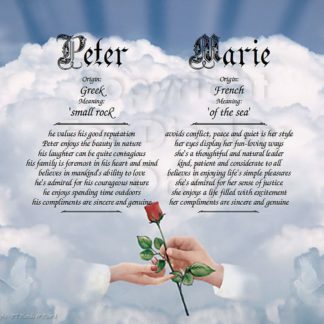 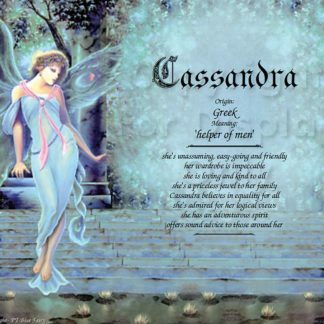 The backdrop depicts a beautiful blue sky with billowing clouds. 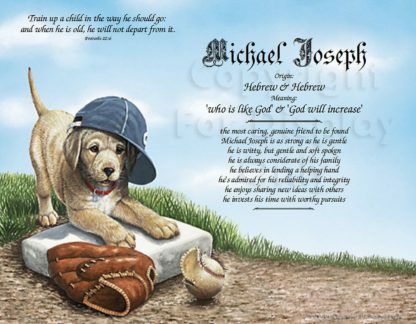 One thing that the passing years don’t change much is a boy, his puppy and his love for baseball, so what better than a baseball puppy picture? 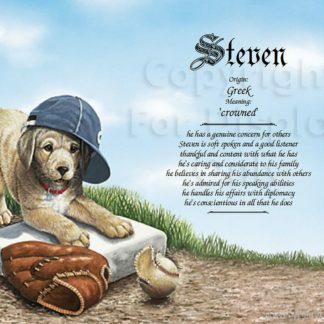 Whether young or old, the baseball puppy personalized name photo will trigger wonderful memories and happy times.